Beautifully updated 2-story in a great neighborhood! NEW luxury vinyl tile (LVT) (2018) leads you from the main level office/flex room to the kitchen & breakfast room. The cheery kitchen has white cabinets, tile backsplash, breakfast bar island, lovely updated lighting & stainless steel appliances, including a 5-burner gas stove. Rich wood floors in the family room with lots of natural light & a main floor laundry & powder room. Upstairs, the private master suite has a walk-in closet & bath with 2 sinks & separate tub & shower. Another full bathroom & 2 family bedrooms complete this level. The finished lower level walk-out with NEW LVT floors & a NEW bathroom vanity (2018) has an open rec room, full bath & 4th bedroom with a big window. Fully fenced back yard with a patio & deck to entertain. Neighborhood pool, walking trails & clubhouse just down the street. All 3 Wentzville (Timberland High) schools nearby! 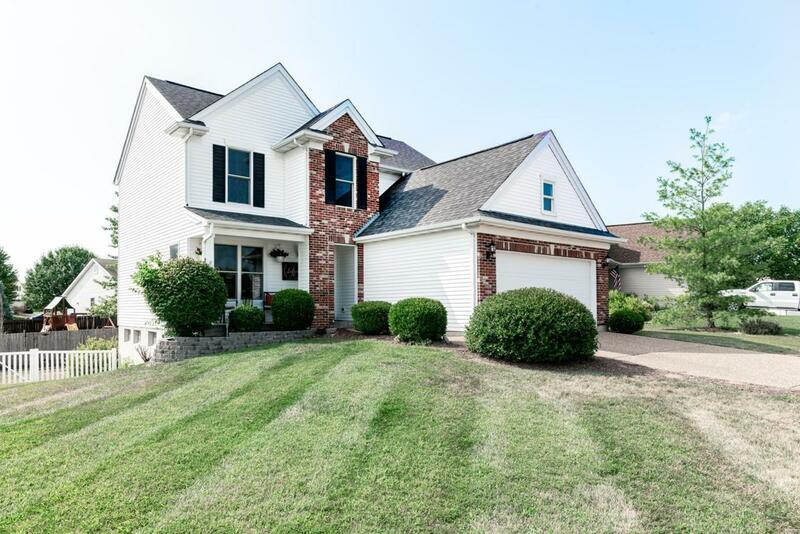 Close to restaurants & shopping & easy access to I-70 & 64. See it today!